The young stars and pros from Dancing with the Stars: Juniors are set to showcase a night of fancy tricks and plenty of treats in celebration of Halloween Night. 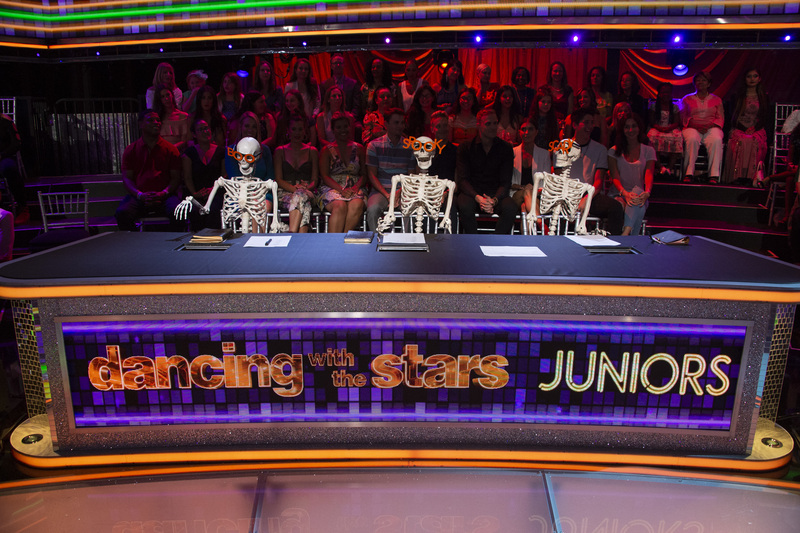 The eight remaining celebrity kids are donning their scariest costumes as they prepare to treat the viewers to some truly spooky dances on Dancing with the Stars: Juniors, SUNDAY OCTOBER 28 8|7c on ABC. The Juniors night will be followed by Dancing with the Stars's live Halloween Night event on MONDAY OCTOBER 29 at 8|7c. The electrifying night kicks off with a chilling opening number, choreographed by judge Mandy Moore and featuring the eight teams. Each couple will then perform an Argentine tango, paso doblé, jazz, jive, Charleston or samba. At the end of the night, there will be an elimination. The studio audience vote is combined with the judges' scores to determine who goes home at the end of each episode. Honey Boo Boo and Tristan Ianiero (mentored by Artem Chigvintsev) – Jazz – "Ghostbusters" by Ray Parker Jr.
Watch the very first Dancing with the Stars: Juniors Disney Night on SUNDAY OCTOBER 28 8|7c and then tune in LIVE MONDAY OCTOBER 29 8|7c to catch Dancing with the Stars's ghoulish Halloween Night! News It's Disney Night on Dancing with the Stars: Juniors!